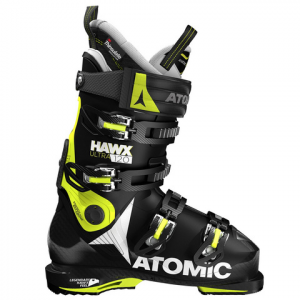 The all new Atomic Hawx Ultra 120 Ski Boot brings the performance and comfort of the Hawx series to a narrower chassis. This boot is for advanced to expert level skiers who need a stiff and precise boot to perform in all conditions. The Progressive Shell makes the Hawx Ultra 25% lighter and keeps the boot agile. The liners a Memory Fit and are customizable. For hard charging skiers looking for a performance fit, or those who have narrow feet, the Hawx Ultra 120 is highly recommended.